Thanks to the hard work, dedication, organization and commitment to the needs of children, the Sunrisers Lions--led by the incredibly hard working Don Bock--put on a wonderful day of friendship, camaraderie, and serious golfing in June! The event proceeds were to be donated to Angels Foster Care. Through the financial contributions of event sponsors, and the golf entry fees, participants purchased raffle tickets for a variety of wonderful baskets and other items donated by local businesses and individuals which raised funds for the Sunriser Lions charitable giving program. There was also a "Grand Prize" raffle featuring featuring 4 VIP seats to an upcoming Dodgers Game at Dodgers Stadium or cases of local, boutique wines. The golfers enjoyed a wonderful tri-tip lunch prepared by the chef at Monarch Dunes and also were awarded various cash prizes for their golf skills. Angels Foster Care was present with our information table and was able to share the message of foster care to the golfers and event volunteers who were interested. 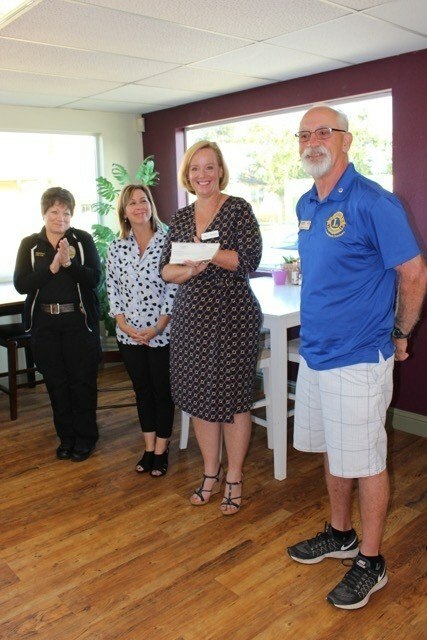 This golf tournament reflects the many years of service the various Lions Clubs in North County have given to Angels Foster Care--we are so grateful to their willingness to support our work and shine a light on the needs of babies and toddlers in foster care in our area. 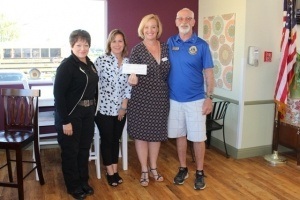 After everything was tallied, the event proceeds brought $3000.00 to Angels Foster Care which was recently presented to us at the Sunrisers morning meeting. With their help, we can continue our work to recruit, train, certify, and supervise more foster homes in Santa Barbara County.